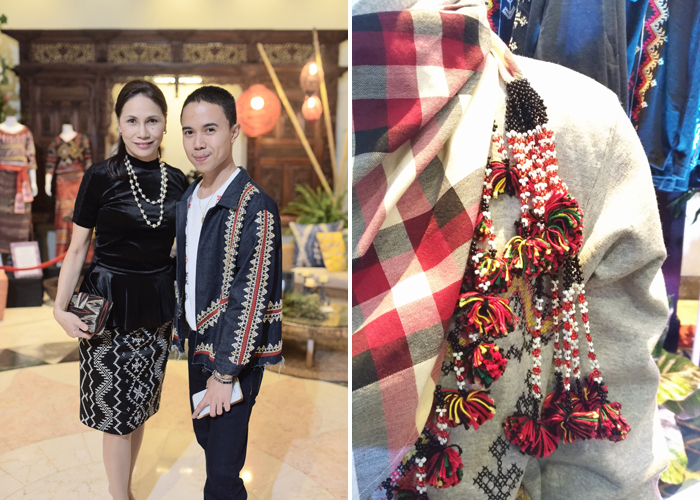 Fashion and Fusion is Marco Polo Davao’s way of celebrating culture and arts that embraces local talents and highlights local culinary flavors. 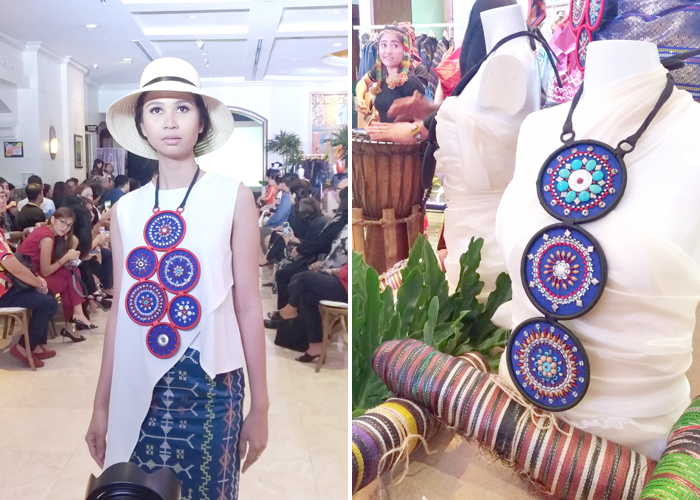 Now on its fourth year, Fashion and Fusion also kick-starts the hotel's Kadayawan mood as it now showcases distinct tribal and indigenous pieces on display at the lobby that made-up the whole Kadayawan feels. 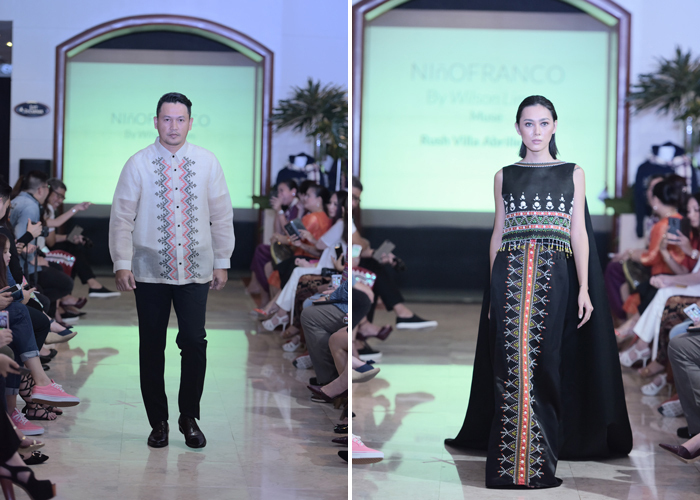 This year’s fashion show features the designs created by Davao’s home-grown brand, NIñOFRANCO by Wilson Limon. 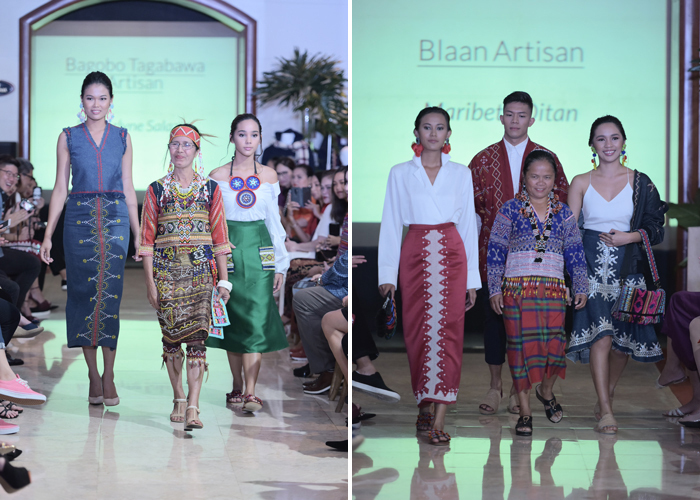 Dubbed as its first trunk show, NIñOFRANCO’s collection is a showcase of contemporary ethnocentric and one-off wearable pieces made collaboratively and intricately with the Mindanaoan tribes - Bagobo Tagawa, Blaan, Tagakaolo and T'boli. hand-crafted works worn by the models walked down the runway. “We are partnering with NIñOFRANCO because we support his advocacy of promoting Mindanaon culture as well as the livelihood program they give to these Mindanaoan tribes. On the other hand, supporting local products means supporting local enterprises. This is an opportunity for Davao-made products to be highlighted and noticed by potential buyers” said MPD General Manager Dottie Wurgler Cronin. and the designer of the night, Wilson Limon. Noteworthy in these collection are the intricately hand-woven cross-stitched tribal-inspired patterns done in different vibrant colors. Each piece would take months to complete hence the pricey tag of NIñOFRANCO. Tribal-inspired and hand-stitched patterns made these pieces a stand-out. 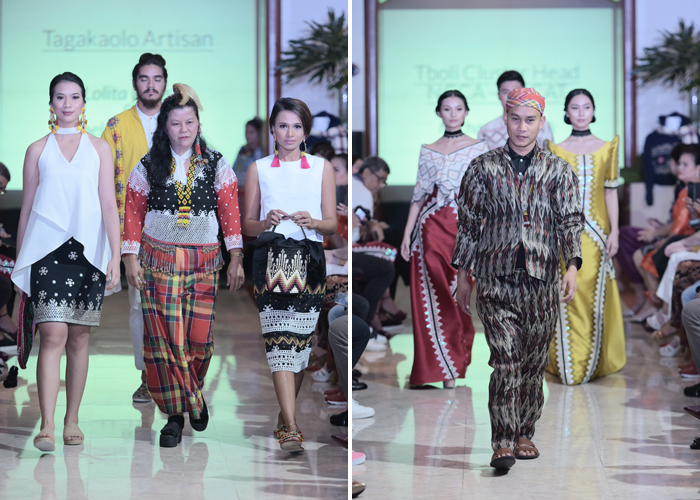 The accessories created by Maan Chua, one of Davao’s celebrated artists, took centerstage as it strut down the runway. The photography and visual arts of Jowe Posadas, floral arrangements from Happy Succulents; fixtures from T'nalak Homes; and antique collection of Architect Jose Racho are also in-display at the hotel’s lobby. Agung, a bodice accessory designed by Maan Chua. a fashion accessory design competition held last year at SM Lanang Premier. The Food Processors Association of Davao City (FOODPAD) prepared the exceptional spread this year. 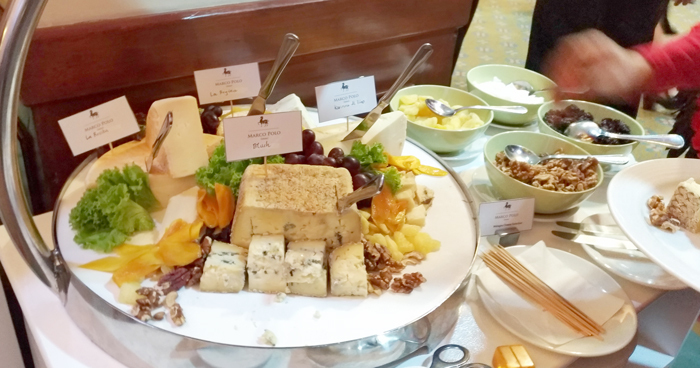 The cheese rack by Malagos Cheeses was as expected a hit. 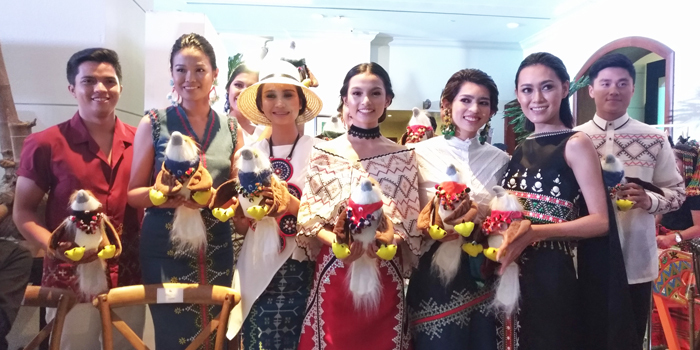 Marco Polo Davao's love and support for the Philippine Eagle overflows as it overtakes the runway where Philippine Eagle stuffed toys are dressed in limited NIñOFRANCO Tangkulo-inspired scarfs. 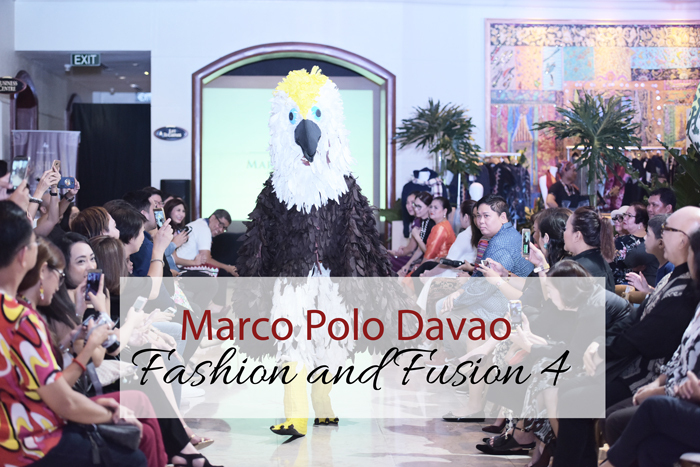 As part of the sustaining efforts for the Philippine Eagle Foundation, all proceeds of the auction during the event in Marco Polo Davao will be given to the Philippine Eagle Foundation. Tangkulo adorned stuffed eagles are up for grabs. Wharf Hotels together with Marco Polo Hotels and Niccolo Hotels expressed its continued support to the endangered Philippine Eagle through its Corporate Social Responsibility fund-raising projects and various initiatives. Last September 2017, Wharf Hotels handed over approximately PhP 1.2 million the Philippine Eagle Foundation (PEF) and last January 2016, Marco Polo Hotels was able to raised PhP 1 million. More photos and videos here!